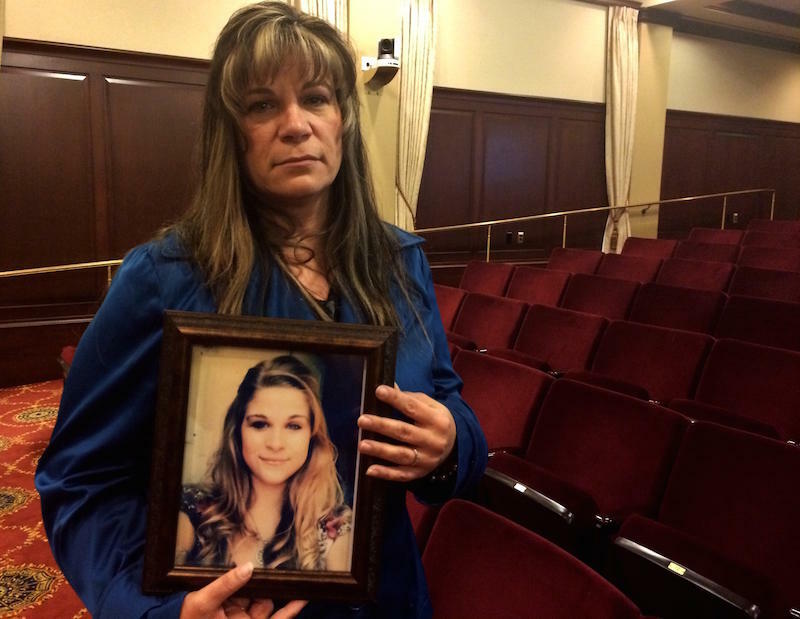 Carmen Stanger holds up a photo of her daughter Maddie at a hearing in the Idaho Capitol. 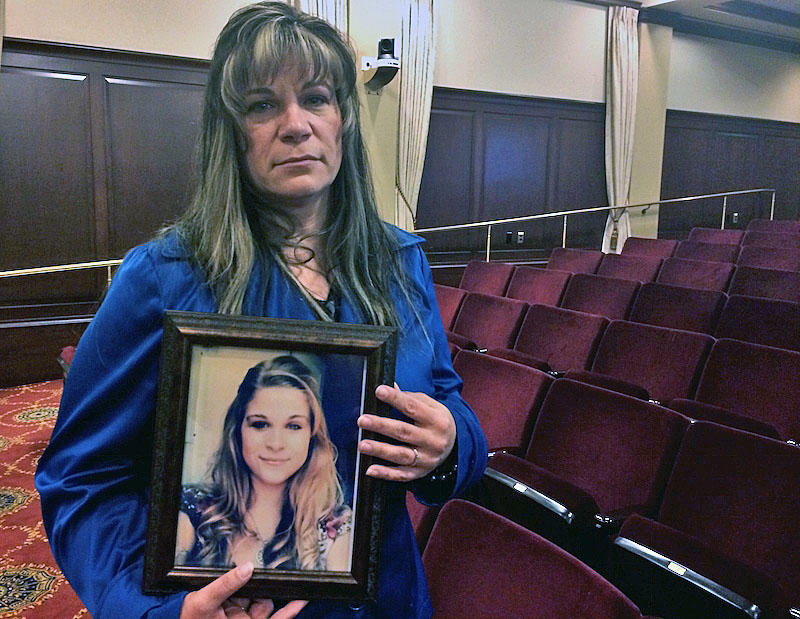 Julie Zicha has gotten involved in Idaho politics since the death of her son, Ryan. Idaho ranks consistently among the top states with the highest rates of youth suicide in the nation. Some suicide prevention advocates say not enough is being done to bring those numbers down. Now, one unofficial lobbying group is catching the ear of policymakers: parents who have lost children to suicide. The bill established anti-bullying training for school employees and set the expectation that they step in when it happens. It had taken years for this bill to reach the governor's desk. Previous versions were voted down or never left committee. But now long-resistant lawmakers had approved the law. 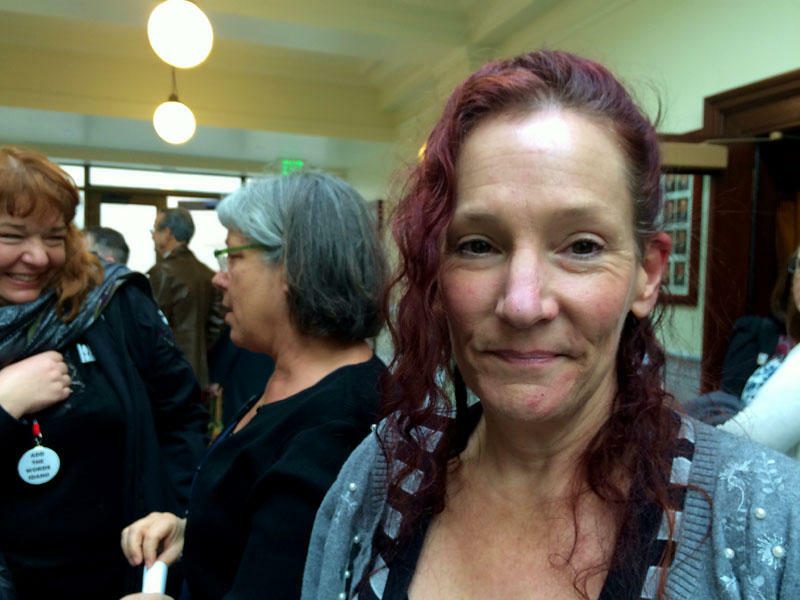 One of the people standing not far from the governor on the day of the signing was Carmen Stanger. “Wow, that was a very triumphant moment,” Stanger recalled. Triumphant, but also bittersweet. The reason Stanger was there, and had worked so hard on the bill, was that her 15-year-old daughter Maddie had died by suicide the previous year. Across all three Northwest states, suicide is the second leading cause of death for 15 to 24-year-olds. But the rate in Idaho outpaces Oregon and Washington by about 40 percent. And it seemed to work on the anti-bullying measure. Conservative Idaho lawmakers had been skeptical that bullying was a matter for state law, or a problem at all. But the bill's sponsor, Democratic state Rep. Ilana Rubel, said hearing parents talk about the bullying their kids had experienced and tying it to suicide seemed to change that. “When you've heard four or five of those mothers and fathers speak, it would be pretty hard to vote against the bill,” she said. Speaking to a panel of lawmakers wasn't what Stanger imagined in February of 2014 though. In fact, politics were the last thing on her mind. It was just days after her daughter's death. The woman at the other end of the message was Julie Zicha. “You know I was so worried, I didn't know how she would respond at first,” ZIcha said. Zicha had also lost a child to suicide -- a 19-year-old son, who had also gone to high school in Pocatello, and who like Stanger's daughter had been gay. Stanger said after a while she did respond, and she found someone who understood in a way other people didn't. This turned out to be the first message of many and not just between Zicha and Stanger. The two started contacting other families when they heard about suicides in Idaho. In Boise, Jerome, Rupert, Aberdeen, Blackfoot, Coeur d'Alene. “Sometimes it's just gleaning a story off Facebook or some other social media,” Zicha explained. “If I hear of one, I let her know, if she hears of one, she lets me know,” Stanger said. It was this network of families Zicha tapped into when she learned the anti-bullying bill would be coming up in the legislative session. By the time the bill reached the first hurdle in the House Education committee, Zicha, Stanger, and other parents -- some who had just recently lost children -- had already called, written, or talked to most of the lawmakers in person. The committee ended up passing the bill unanimously, and from there it won approval in the full House and in the Senate. Of course, this bill was about bullying, not about suicide. Bullying has been identified as a factor in some suicides, but experts caution it’s not the sole cause. Stanger and Zicha plan to take on other issues that they hope could lower Idaho’s suicide rate: like increasing access to mental health and removing the stigma of seeking it. They're working on getting an Idaho chapter of the American Foundation for Suicide Prevention. They say they expect to be back at the Capitol again. The Idaho House passed an anti-bullying measure Monday after some impassioned pleas from several lawmakers -- who talked about the experiences of their own children. 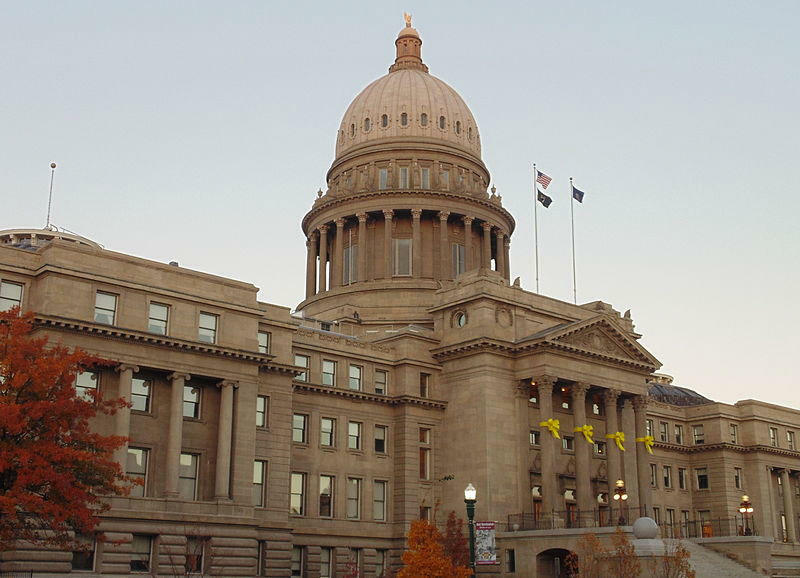 A bill that would establish an expectation for Idaho schools to intervene when a kid is bullied is headed to the Idaho House floor.